Our design philosophy has always dictated the use of heavy gauge steel for a solid foundation. This gives our equipment the ability to last many years in all types of harsh industrial environments. Orion also uses as many standard, non-proprietary parts as possible for fast and convenient parts sourcing. And for non-standard machines, Orion engineers have the skill and experience to create a totally customized stretch packaging system to fit your precise needs. For more information, please visit their website or you can contact us. We are here to help! To contact a PLAN Automation stretch wrapping specialist in Ontario, click here! To contact a PLAN Automation stretch wrapping specialist in Quebec, click here! Want to see how Orion stacks up against their competitors? 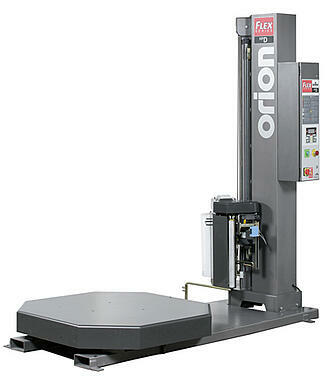 Click here to learn about the advantages that come with an Orion system. Let the PLAN Automation team help you with all your stretch wrapping needs.